Signature : Bishu Osafune Katsumitsu Saku. This Katsumitsu belongs to Jyo saku ranking. Blade length : 59.0 cm or 23.22 inches. Width at the Kissaki : 1.74 cm or 0.68 inches. Era : Muromachi period around Eisho era. Shape : Regular size Wakizashi with Sori. 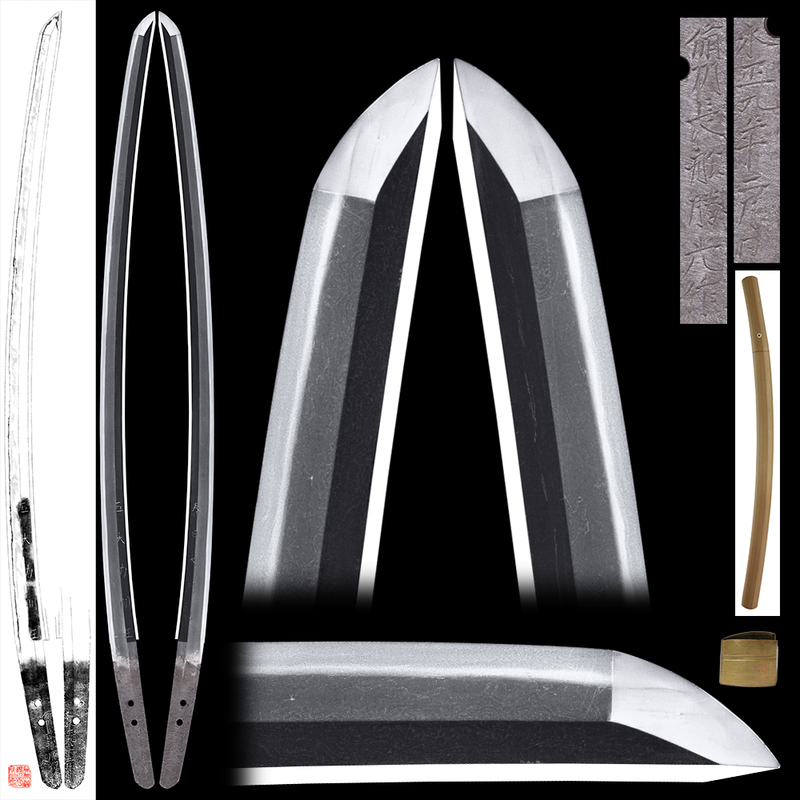 Katate-Uchi blade. Jitetsu : Ko-Itame Hada and Ko-Mokume Hada mix with Jinie attach. There are some Kizu. But it is not serious. Hamon : Nie Deki, bright Suguha. Special feature : The sword smith group of Bishu Osafune Katsumitsu succeed from Bunmei era. and “Kasuga Daimyojin(got of Shinto and Buddihism)” on the blade. The condition of this engraving, it was made around same period. 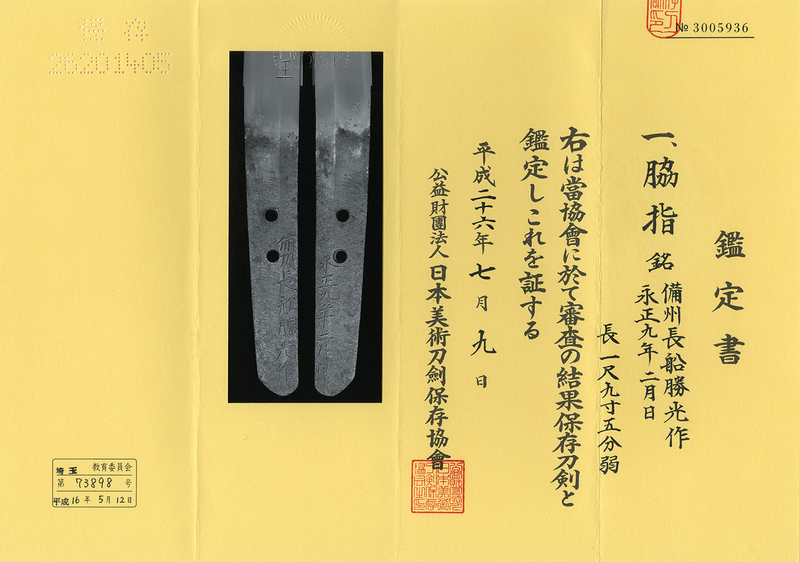 This blade was made around Eisho period before mass production. Jigane is bright Suguha and has nice Utsuri. It is a beautiful piece of work.